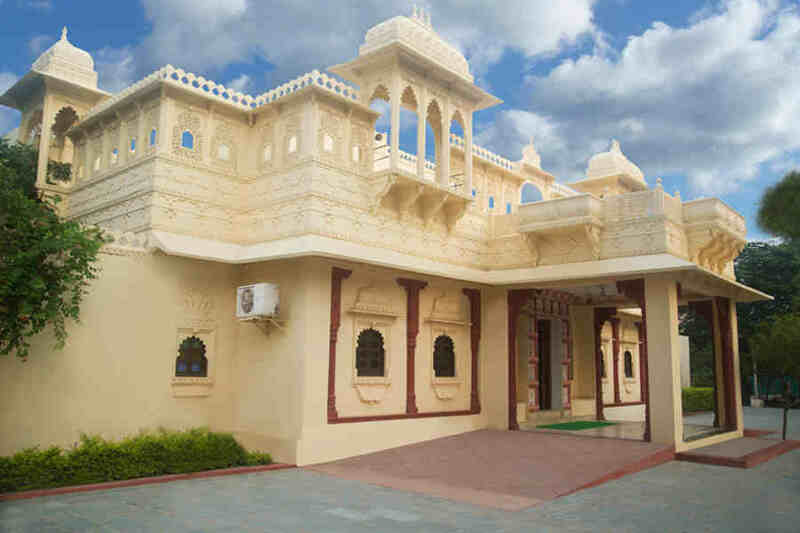 Use the form below to inquire about Royal Rajasthani Style Resort Near Alwar . Use the form below to reserve for Royal Rajasthani Style Resort Near Alwar . These are spacious room with double beds, sofas, and ensuite bathrooms. 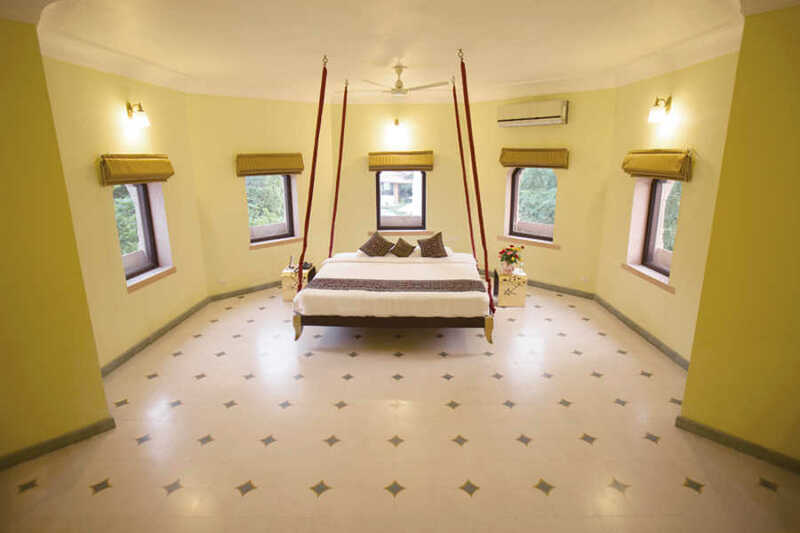 These are spacious rooms with a double bed, separate sitting area, writing desk and ensuite bathrooms. 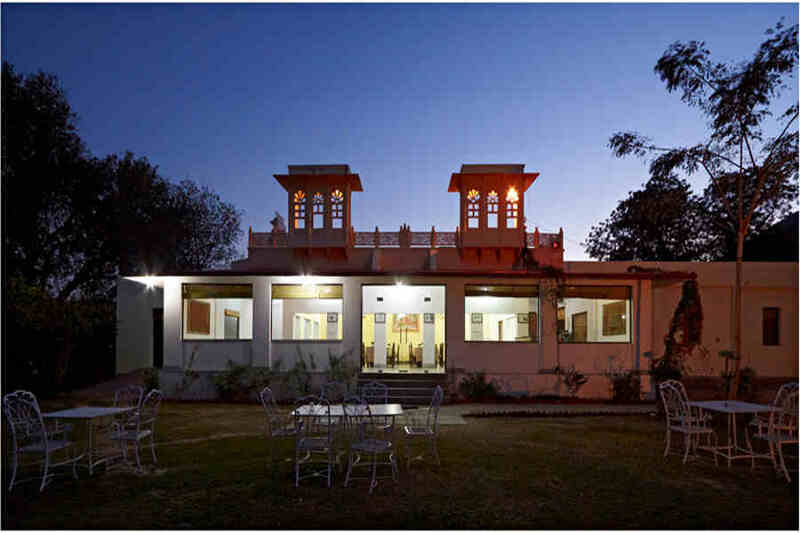 Enjoy a fun-filled getaway at this Royal Rajasthani Style Resort Near Alwar with the Aravalli Mountains as a backdrop. 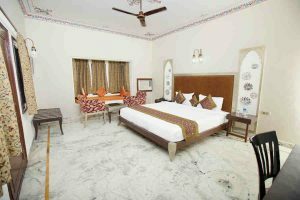 Situated between Sariska Tiger Reserve and Alwar City, this Royal Rajasthani Style Resort Near Alwar is spread over seven acres and is a great place for work and play. The fresh air, lush greenery, and open spaces beckon you to explore and rejuvenate your senses. 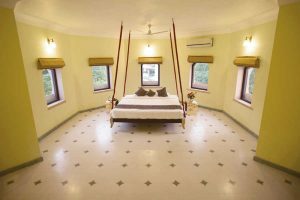 The buildings at this Royal Rajasthani Style Resort Near Alwar are constructed in the traditional architectural style found in the region. 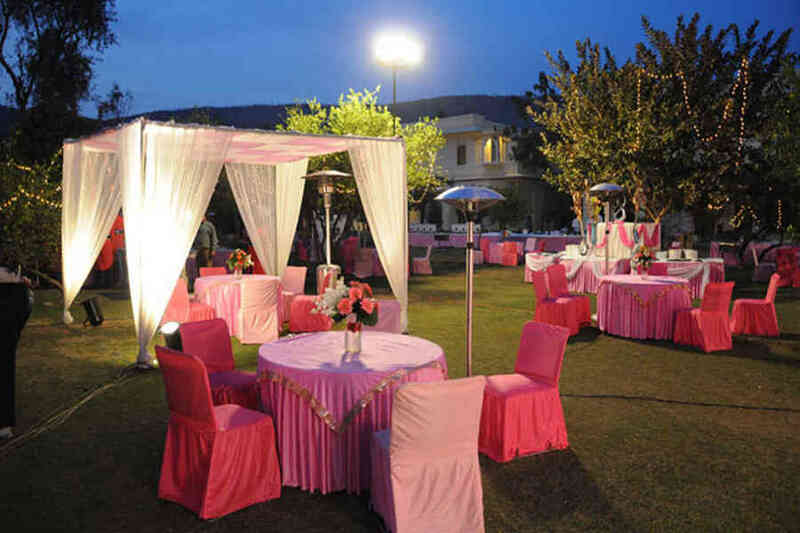 The manner in which the accommodations are arranged makes it a convenient location to host weddings, parties, or other personal events. The property has game and adventure courses making it a great choice for corporate retreats as well. An in-house activity team can assist with scheduling interesting team building games for corporate retreats and large groups. The multi-cuisine restaurant on the property serves up a variety of delicious treats that can also be enjoyed on the sprawling lawns outside. The chefs here specialize in local delicacies as well as other Indian cuisines. Chinese and Continental options are also found on the menu. Live food counters are arranged on special occasions. 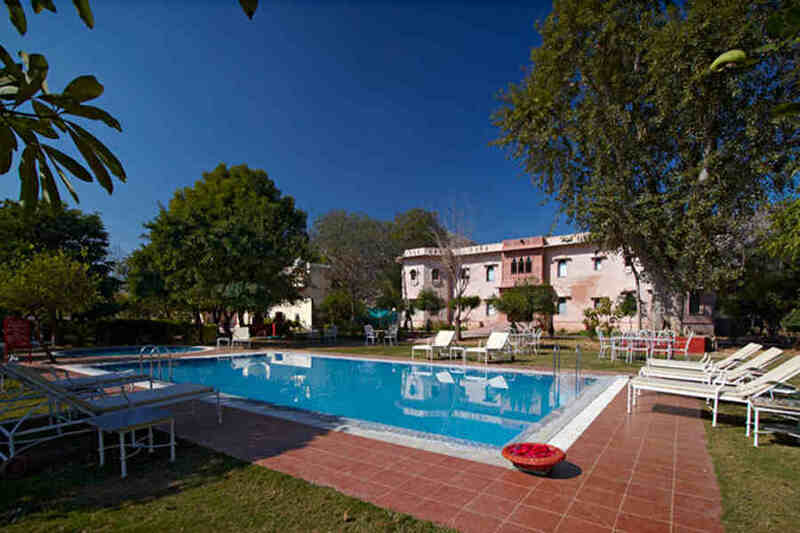 There are 38 rooms at this Royal Rajasthani Style Resort Near Alwar categorized as Deluxe and Super Deluxe. 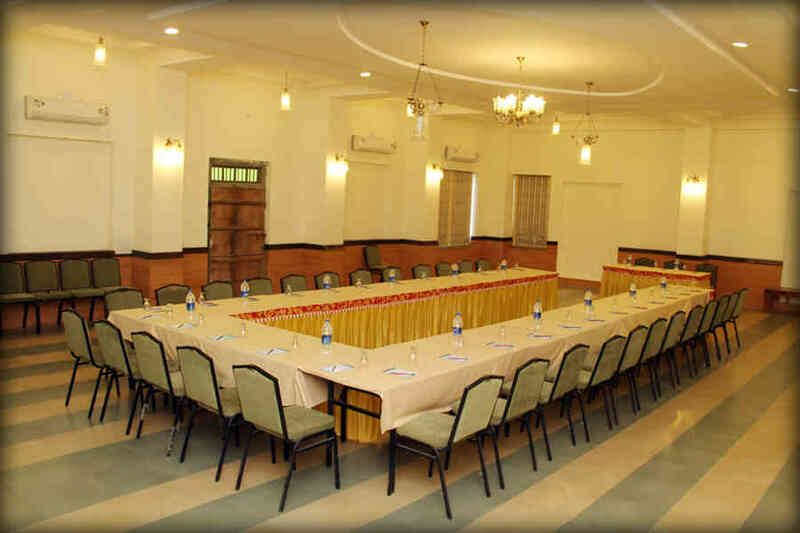 All rooms are spacious, elegantly decorated, equipped with all amenities, and spread across four clusters. 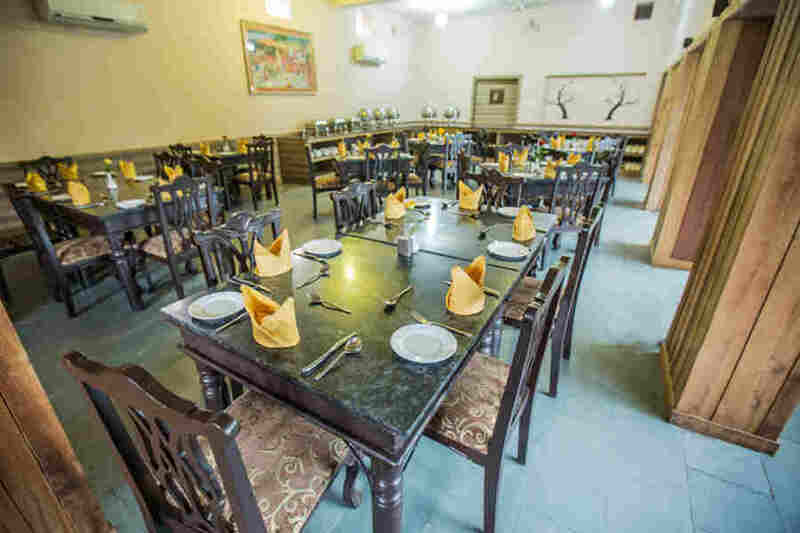 The first cluster is located close to the restaurant and has six rooms while the second is modeled on a Rajasthani Haveli and houses twenty rooms arranged around a private courtyard. This makes it a good choice for large group events. The remaining two clusters are similar and situated adjacent to one another. There are six rooms in each of these two villas over two floors each. Feel special at this spectacular resort which offers customization choices for all kinds of travelers and leaves no room for boredom! Two bottles of Mineral Water in the room/cottage per day. Extra adult or child charged separately. There is plenty to see and do while at this stunning resort spread over acres of land. 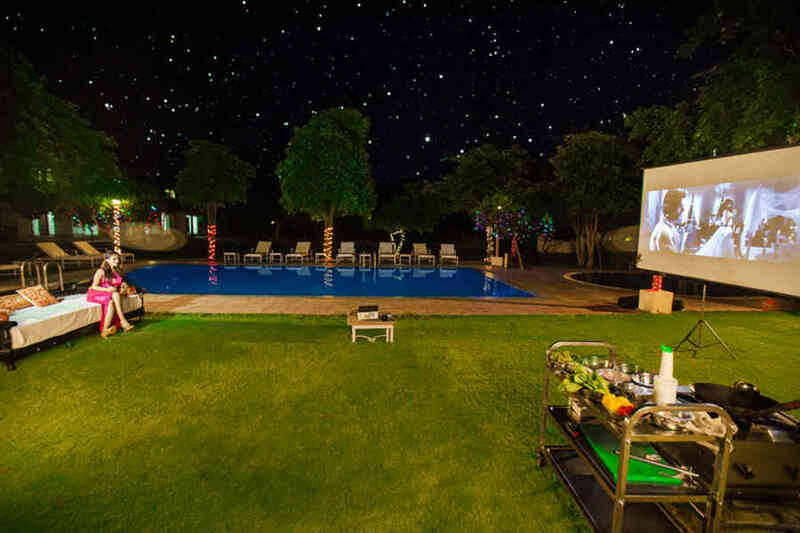 The sparkling swimming pool is perfect for unwinding as you gaze upon the peaks around. 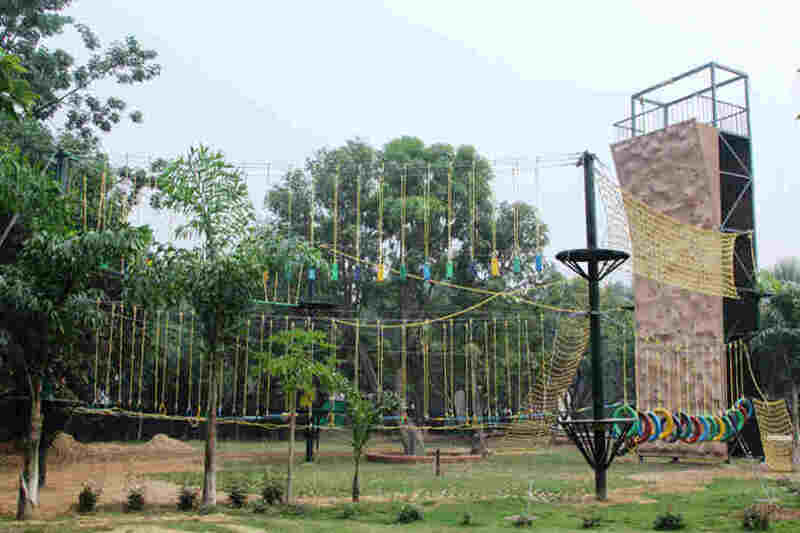 The game and adventure courses on the grounds are suitable for team building exercises at corporate getaways. From paintball to obstacle trails to climbing rock walls, there is plenty for those wishing to mix business with pleasure. Alwar is a historical city and is among one of the oldest in Rajasthan. There are plenty of ancient temples, forts, palaces, and gardens to explore. Sariska Tiger Reserve is a great place to catch a glimpse of the magnificent felines as well as a host of other wildlife species such as the Nilgai, panther, Chinkara, Chital wild boar and others. The Bhangarh Fort bordering the Tiger Reserve is worth a visit though it is believed to be haunted and no one is allowed on the premises at night. Another attraction close by is the Vijay Mandir Palace that epitomizes the grandeur of Rajasthan. With 105 elaborately decorated rooms, the palace is surrounded by a serene lake and beautiful gardens. Indira Gandhi International Airport, New Delhi, is the closest at 142 km while Jaipur airport is at a distance of 162 km. Alwar is itself a major railway station with good connectivity to major cities across the country. New Delhi railway station is at a distance of 157 km while Jaipur railway station is 160 km away. Neemrana is at 74 km while Gurugram is 127 km via the Alwar-Bhiwadi Rd/Alwar Bypass/Alwar-Tijara Road. Agra is 166 km away along the Bikaner-Agra road while New Delhi is 153 km via NH48.